This post is sponsored by Hornitos. I love Thanksgiving; to me it’s the official start of the holidays! Time to start thinking of what to get loved ones for Christmas gifts, time to catch up and spend quality time with family and friends, and time to start decorating for the holidays! But the one thing I’m really exciting about is being able to put Mochi’s red jingle-bell collar on him. It’s this super cute collar with big,gold bells all around, and whenever he runs around, you hear lots of jingling! It makes my heart warm and fuzzy. Of course, amazing food comes along with the festive holiday events,and this year we’re starting Thanksgiving by doing a 10k in the morning to work up a big appetite for dinner(and maybe shopping). I've made my fair share of salads, soups, and baked goods. So when I partnered with Hornitos for this Thanksgiving post, I knew immediately that I wanted to share an easy and super yummy chocolate cake recipe that integrates fresh fruits and Hornitos Black Barrel. 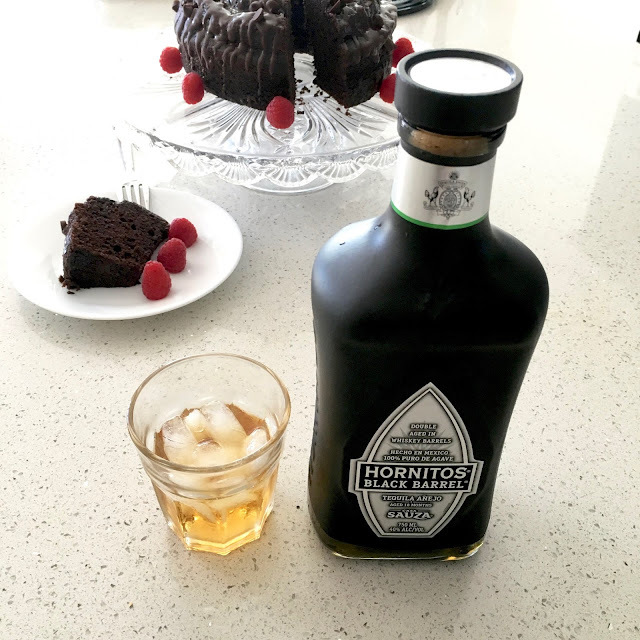 2 tablespoons of Hornitos Black Barrel tequila, plus extra to top off a slice! 8. 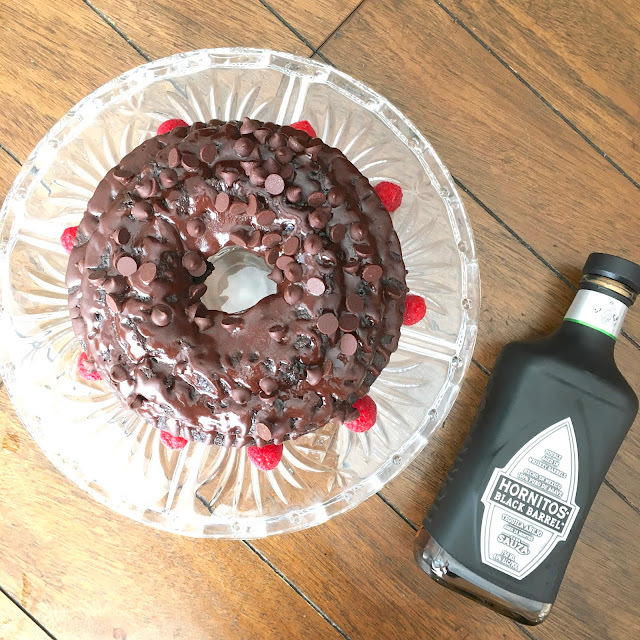 Garnish with raspberries, drizzle with some Hornitos Black Barrel, and enjoy! It's as easy as cake, and taste as yummy as it looks! 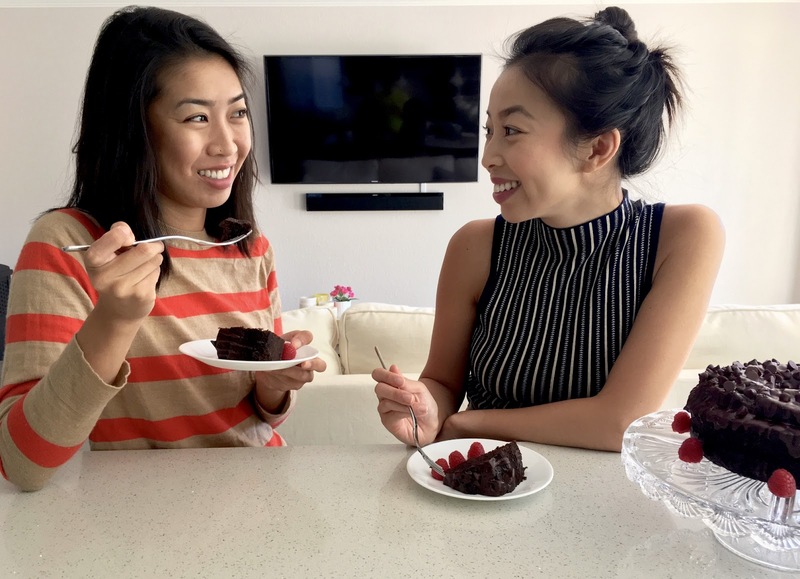 I hope you guys enjoy this twist on chocolate cake, and I hope this inspires you to put a twist to your traditional Thanksgiving dishes! Hornitos® Tequila doesn’t settle for the status quo but believes in taking experiences to the next level with 100% agave tequila. Learn more about what makes us not just any tequila at www.hornitostequila.com and follow us on Twitter at www.twitter.com/Hornitos.